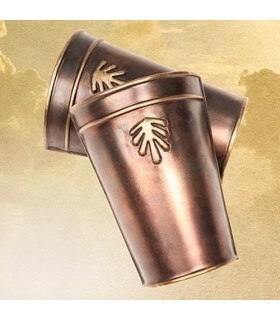 Bracers There are 13 products. 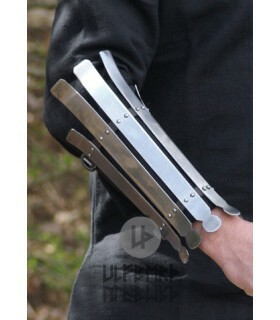 Viking metal arm protectors. Made of steel and leather. 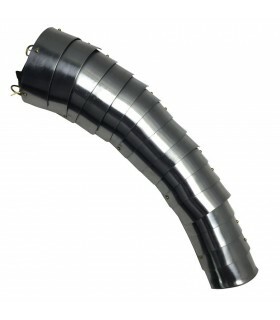 They are flexible and easily adapt as they have self-adjusting buckles. It includes the couple. 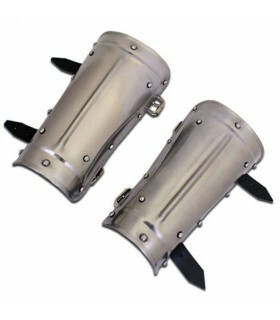 Couple medieval steel bracelets, one of the piece of medieval armor protecting forearms. It includes belt buckles for proper support. Jack medieval Chains. 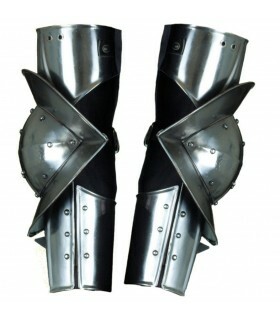 Protection of metal arms composed of 4 plates articulated rings. Made of mild steel polished 1mm. thick. 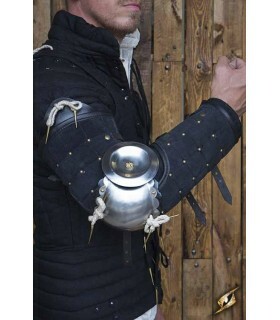 They were used in the fifteenth century by laborers, archers and archers. Roman official bracelets manufactured by hand in steel, bathed in brass and aged according to the time. They are lined in suede and have a thick leather strap to adjust them. The total length of these bracelets are 18 cms. 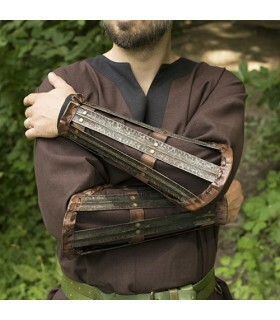 Protector for Roman Gladiator articulated arm made of steel sheets. 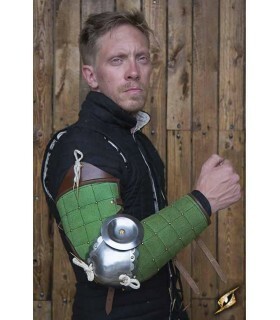 It includes buckles and leather interior to protect the arm. The Viking bracelet is made up of five steel strips and riveted to 2 hard leather straps. The straps are adjusted by brass buckles. The thickness of the bracelets is 2 mm. The, Manicae, was a part of the armor of the Gladiators. 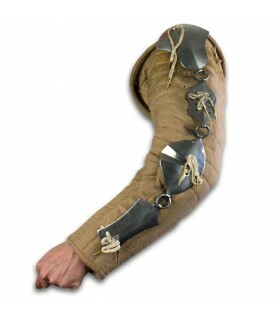 Our replica is based on the numerous images of the gladiators of the time. 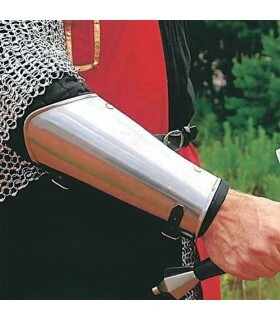 This protection covers the entire arm, from the shoulder to the wrist. In Latin the word "Manicae" means long arm. 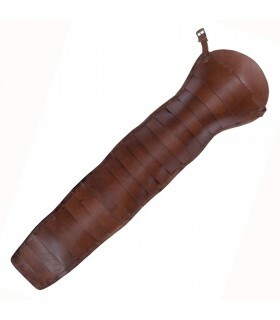 The protector is made of high quality leather. The width is 35 cms. on the shoulder and 12 cms. on the wrist. Metal bracelets elbaborados by the house Windlass Steelcrafts. 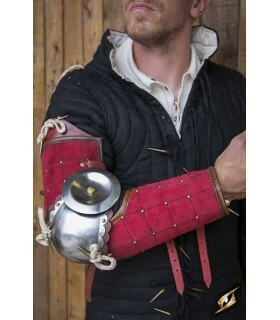 The bracelet or cuff is a piece of armor which serves to cover and protect the forearm. 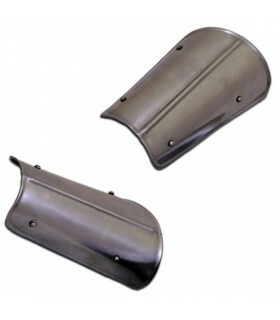 This pair of protectors are made in high quality metal with lining and koreas of leather thus offering a perfect fit.